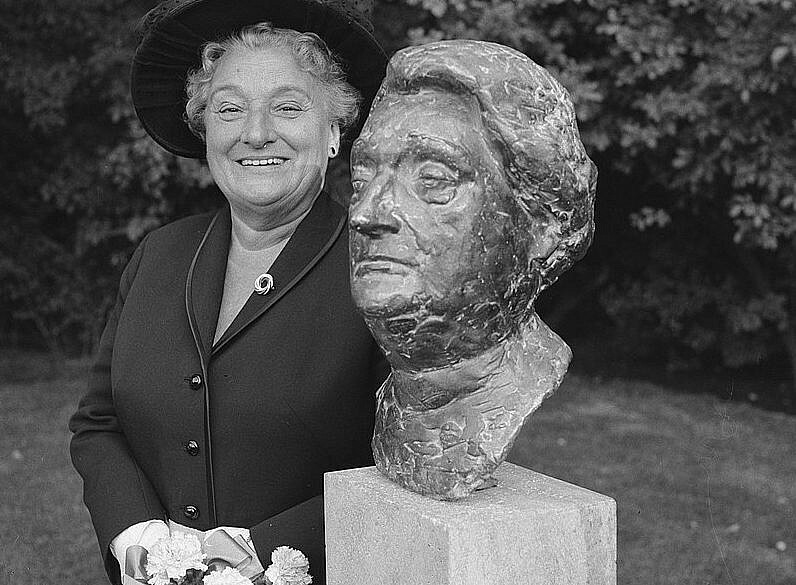 Unveiling bust of Mrs. Wijsmuller in Princess Beatrixoord in the Oosterpark, Amsterdam, 1965. Dutch filmmakers are appealing to British Jews to help them make a documentary about a social worker who became a Holocaust hero after helping 10,000 Jewish children reach safety via the Kindertransport. 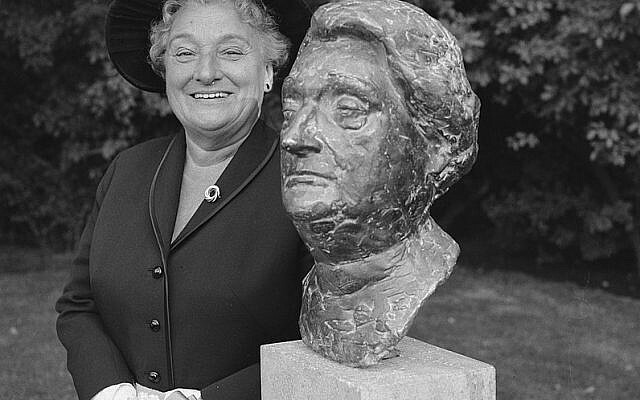 Resistance fighter Geertruida Wijsmuller-Meijer, whose nickname was ‘Truus,’ was honoured as Righteous Among the Nations by Yad Vashem, after her wartime efforts – including smuggling children out under her skirt – came to light. In December 1938, she travelled to Vienna and managed to arrange the departure of a Kindertransport train packed with 600 Jewish children. Of these, 500 went to England and 100 went to the Netherlands. For the next nine months she worked with Sir Nicholas Winton and others to arrange similar transports, fully aware of the urgency, and from September 1939 until May 1940 she helped Jews stranded in the Netherlands, Belgium, Denmark and Sweden travel to England and unoccupied parts of France and Spain. On the day Holland surrendered, she even helped smuggle 74 Jewish children from an Amsterdam orphanage to a Dutch port where they boarded the freighter SS Bodegraven, which left the port ten minutes before the surrender announcement. It landed in Liverpool five days later. Now, as the Dutch filmmakers prepare to travel to the UK to give a talk at the Association of Jewish Refugees on 14 April, they are calling for any British Jewish families with relatives who may have been saved by Truus to get in touch. “It’s puzzling that she never really got the recognition she so rightfully deserves,” said Pamela Sturhoofd and Jessica van Tijn, whose documentary ‘Truus Children’ is scheduled to premiere later this year. “In the last two years we have been able to trace 23 people saved thanks to the work of Miss Wijsmuller and others, and who are all willing and capable to share the memories they have from this dark period in their lives.